This article is about the musical composition (with vocals). For other uses, see Song (disambiguation). A song is an artistic form of expression based on sound, generally considered a single (and often standalone) work of music with distinct and fixed pitches, pattern, and form. It can be wordless or with words, but must include some form of vocalization. Written words created specifically for music or for which music is specifically created, are called lyrics. If poetry, a pre-existing poem, is set to composed music, that is an art song. Songs that are sung on repeated pitches without distinct contours and patterns that rise and fall are called chants. Chants may be slightly or highly ornamented. Songs may be sung by one singer or more than one, by a singer with background singers who accompany with minor parts, or by a group. Songs composed for personal use, for casual group activities, in simple style, are referred to as folk songs. Songs that are composed for professional entertainers are called popular songs, in that they do not require an education to necessarily appreciate, and that they have broad appeal to many people. These songs are composed with the intent to earn money by professional composers and lyricists. Art songs are composed by trained classical composers for concert performance. Songs may also appear in plays, musical plays, stage shows of any form, and within operas. A song may be for a solo singer, a duet, trio, or larger ensemble involving more voices, although the term is generally not used for large vocal forms including opera and oratorio. Songs with more than one voice to a part are considered choral works. Songs can be broadly divided into many different forms, depending on the criteria used. One division is between "art songs", "pop songs", and "folk songs". Other common methods of classification are by purpose (sacred vs secular), by style (dance, ballad, Lied, etc. ), or by time of origin (Renaissance, Contemporary, etc.). Now that is the definition of "song" according to Wikipedia. I grew up learning classical music from classical trained instructors and they would slap my hand, so to speak, if I used the term "song" referring to any of the pieces I was working on or performing.. So we know that a "song" refers to music with vocals. The question is, Should we call a piece that generally has vocals a "song" when we perform it on an instrument? BTW, most people use the word "song" for all types of works and it doesn't bother me. 🙂 Just thought we could talk about it. Sometimes frequent use of a word in a different way changes it's meaning. The phrase "song has words!" always stuck with me but nowadays, in current portuguese, I think we use the word "music" a lot more to name everything (exception classical related, listed as pieces). For example, "did you hear that song on the radio? ", we generally say "did you hear that music on the radio?" (literal translation) instead of canção (song). In that case, vocalized piece played as an instrumental, I would refer to it as interpretation (of a song) in english. I'm very curious to see other replies on this matter. I'm guilty of calling everything a song, whether it has words or not. I do know the difference, but I do it anyway. Kinda like how (in my neck of the woods) all soft drinks are referrd to as Coke, even if it's Dr. Pepper or Sprite. If you ask someone to bring you a Coke, they ask what kind. Blame it all on my roots. LOL! Most of the time I said "this piece of music" when it's played on radio. In Chinese, songs mean songs, and music is music, did I confuse you? yeah! I tend to refer to a piece of music that traditionally has words as a song, even if it is being played in an instrumental version. If I want to specifically refer to the sequence of notes without the words, I would call it the melody of the song. If it is a piece of music that doesn't have traditional words, I would call it a tune (as in fiddle tunes) or a composition (classical music) or simply a piece of music. So in Suzuki book 1, I call Go Tell Aunt Rhody and Long, Long Ago "songs", while Allegro and Minuet No. 3 are "pieces". I find it interesting to know whether a piece has vocal origins or not, and I enjoy learning the words even if I'm playing it on the violin and not singing it. For example, I had never heard Song of the Wind before I started studying the Suzuki book, but I have more fun playing it when I'm singing the words in my head! "We sing a song", "we hum a tune".... when we hear birds chirping, generally they are in song, although there are no words to their melody. We say, "now that's a catchy little tune",,,, are we talking about the words or the music, or both ? Or are we talking about the way the music was arranged with words to make it a song or just the melody without words. I think it's just how it's used in our speech that deciphers or our perception of a tune or song. There can be tunes with words or tunes without words, but they are still "songs", IMO. The "tune" is the written music that makes a song a song and without a tune or written music, it now becomes a poem or is it poetry. Or prose if it doesn't rhyme. We tune our instrument, we don't song it or sing it and there's generally no words to the sound of an "A"string, but we "tune" it anyway. Most of us think of,"Wikipedia" as being the "holy grail" of information, but it too is written by people just like us who have their own opinions so without thinking we take it as being absolutely correct and it generally is, but this thread was started, to ask what we all thought. Now we all become amateur "Wiki's". LOL. and that's a good thing. As for a "piece" of music. A piece according to "Merriam-Webster" as being a part of a whole. So when we play a piece of music, are we playing the whole song or just one bar. I can see how saying "songs" for a piece of music with no lyrics might make some go crazy. I know a lot of violinist that call it as they see it.. and now maybe I see why.. if they are playing a sonata, or an etude, or a "piece" they are always proper in their terms... .. and if I am thinking to my conversations with them.. I don't think I ever hear them say they are playing a song.... I am sure to notice now... ha ha.. I think I am going to be a bit more precise. Not for any other reason than why not? It's more interesting than I first thought. Lot's of great points being made. OK, I have the answer - it is neither a tune nor a song, let's call it a tsong - with a silent-ish or elided "t" as in tsunami.... there we go.... sorted ! @fiddle chick : Nowadays, that's actually a valid question, considering that there's regular Coke, Diet Coke, caffeine-free Coke, caffeine-free Diet Coke, Coke Zero, Cherry Coke, Vanilla Coke, etc. 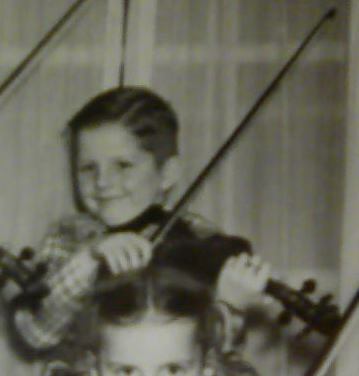 Back to the original question...before I started playing the fiddle, I was also guilty of calling everything a song. I always considered "tune" to be synonymous with "melody." For example, if you asked someone if they knew a song, they might say "Can you hum the tune?" I also thought of "tune" as a colloquialism for "song," as in "Let's put on some tunes." Even now, I tend to think of a piece of music that is usually sung and has a strong association with its lyrics to be a song, even when played instrumentally. I mean, could one listen to an instrumental version of Happy Birthday and not be singing the words in one's head? I doubt it. Good Point Diane.. does playing a song (something writtenwith lyrics) loose its "Song Status" just because it is being played musically???? OMG - I have re-awakened the thread ! LOL folks !